Only she had the power to seduce the likes of Julius Caesar and Marc Anthony. When these guys walked into a room (or battlefield), they commanded respect from their comrades – and petrified their enemies with fear. The secret behind Cleopatra’s irresistible charm had to do with certain personal traits that made it IMPOSSIBLE for men NOT to fall for her. What do I mean by this? When you have this simple trait, people will actually experience a teeny tiny bit of PAIN when they’re not near YOU. That’s right, men found Cleopatra’s mere presence INTOXICATING. They knew her VALUE and couldn’t bear to be away from her. You’re not just working on one aspect of your life, but seeking to improve yourself on multiple levels. This includes your career, hobbies, passions. The same goes for the relationships you have with your family, friends and colleagues. This won’t be the most politically correct thing you’ll hear from me, but bear with me and keep an open mind. As far as attraction is concerned, there IS a reason why men and women ARE different. Men are biologically hardwired to seek the yin to their yang, if you will. This does NOT mean that you shouldn’t be yourself. Or that you shouldn’t be strong or tough or that you shouldn’t show him that part of you. He loves that, too. But there’s nothing wrong with being a woman, and it doesn’t make you LESS of a woman to stop trying to be like one of the guys. We feel SPECIAL and ACCEPTED when we get to see the softer and more vulnerable part of you. For example, it may sound silly to you but we get a kick out of using our manly strength to move your huge flat screen TV for you – or kill that spider in your garage. When you get a case of the sniffles, we’ll swoop into action and get you warm soup and a blanket. It’s in our blood. We won’t tell you, but we LOVE the feeling of being able to do those little things for our partner. Men won’t ever complain about having to be a man for you. She did it WITHOUT playing mind games or being dishonest with men. 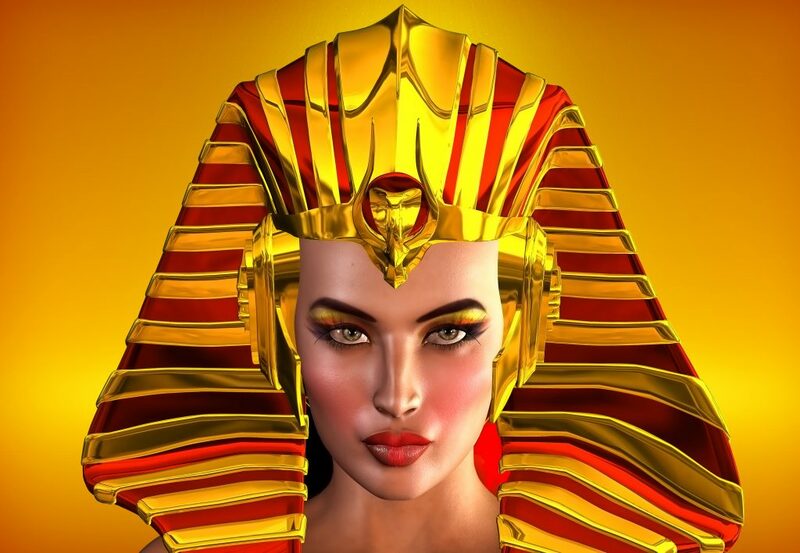 Cleopatra did it with INTEGRITY and remained true to who she was. The good news is that she didn’t take this secret with her to the great beyond. Even today, some women know her secrets. They’re applying this life-changing magical magnetism to get the guy of their dreams.